We will gather at our office (242 N. 5th Ave., Rome, 30165) at 5:00 p.m. on Tuesday, December 17th. If you don’t know sign language, or want a refresher, come to our office at 5 p.m. on Thursday, December 12th for a free lesson. Rome’s beautiful Broad Street is now decorated with many lovely wreaths in support of NWGA Center for Independent Living’s Fourth Annual Festival of Wreaths Silent Auction Fundraiser. This year, the wreaths also come with gift certificates donated by many of the downtown businesses. These beautiful wreaths were designed and donated by Marie Rice, and Sean Hogue made the wreath forms. 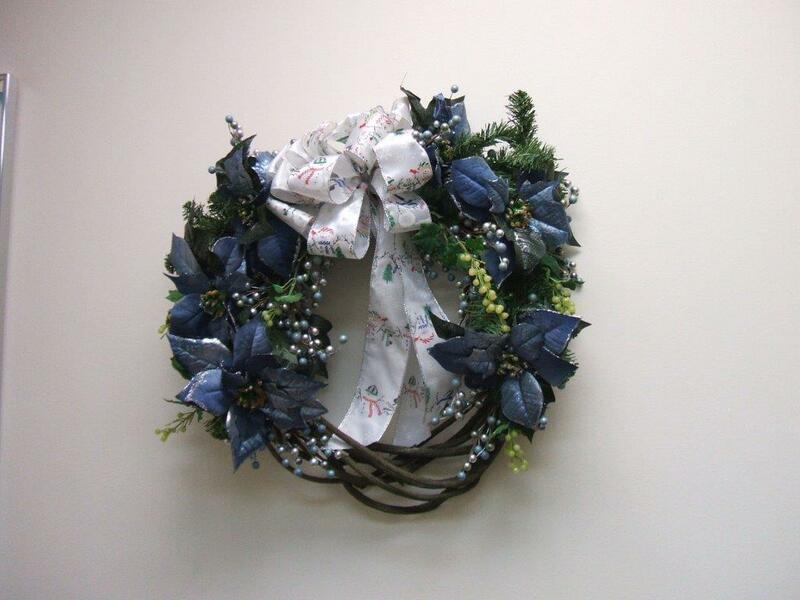 The wreaths would make a perfect gift for someone you know, or for your own home and enjoyment. To participate, come to one or more of the following downtown businesses: Cycle Therapy, Ford Gittings and Kane, Ginger’s, Great Harvest Bread, Greene’s Jewelers, Honeymoon Bakery, Johnny’s Pizza, Kaleido-sno, Liebermans, Mellow Mushroom, The Partridge and Schroeder’s. Place bids. Keep checking back at the businesses and up your bids until the end of the fundraiser on Monday, December 16th. I’m new to all of this. What does advocacy really mean and what can it do for people with disabilities? Advocacy is learning to speak up for yourself and others who have disabilities. Advocacy is educating yourself and others about your capabilities, rights and accommodation needs. There are many ways to advocate. Some people write letters when they have a concern, some talk with others, some make public presentations, some visit legislators, some organize and march. Our former director says that one needs to find one’s comfort place on the advocacy continuum. Wherever you are in the process, the results can be self-empowerment, living more independently, and effecting systems change. NWGA CIL staff can help you with your advocacy needs. Remember, there is strength in numbers, and a tail wag gets you a lot farther than a snarl. Our READY AND ABLE TO GO round table discussion with emergency rescue personnel and people with disabilities was held in October. The event was quite a success, with more than 50 participants. Everyone left feeling that they had learned useful information from each other. We enjoyed donated pizza. We also gave away Go Bags with our logo and a lot of information on how to customize them. EMERGENCY PREPAREDNESS is a new program developed by our center in 2013. If you have questions, please contact us. More to come…!